Added on September 12, 2012 by Tamara Rafkin. 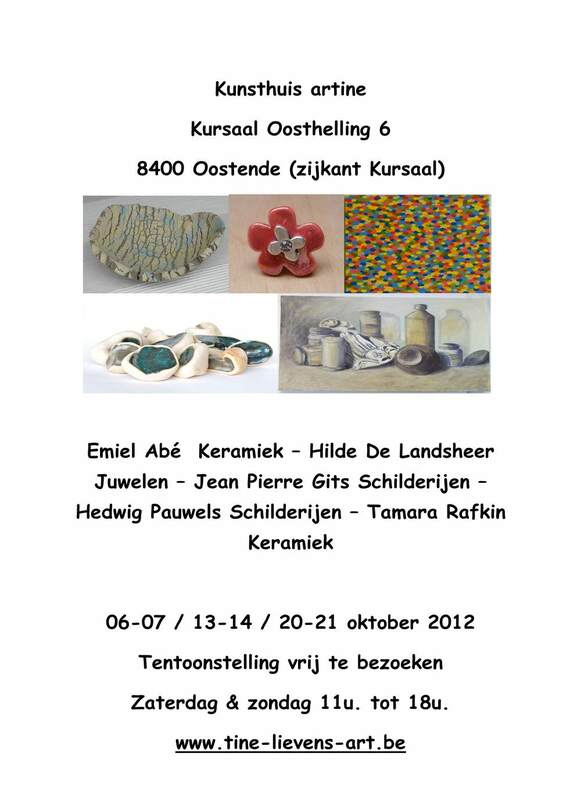 This October my ceramic works will be included in a group exhibition in Oostende BE. Open the first three weekends of the month during the day from 11:00 to 18:00. Kunsthuis Artine is found directly next to the Casino in Oostende in the Kursaal Ostelling off the boardwalk/dijk.